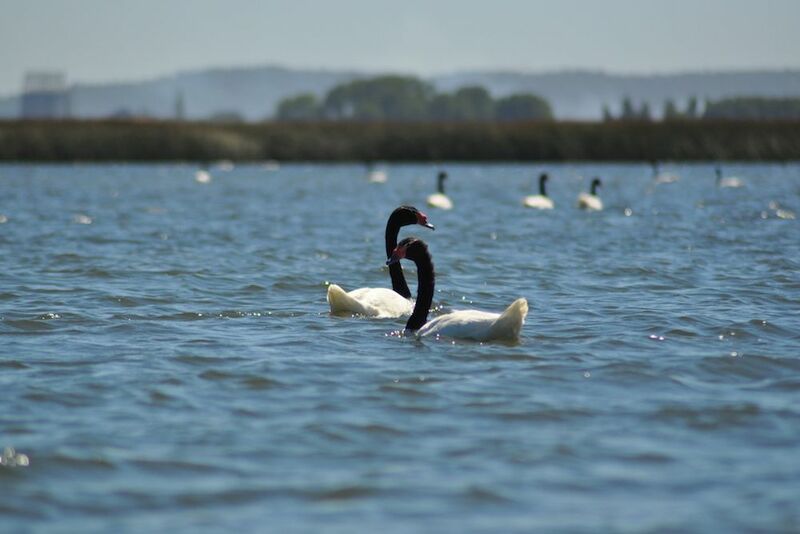 Black-necked swans in the wetlands outside Valdivia, Chile, which suffered a toxic shock from paper and pulp mill effluent in 2005. 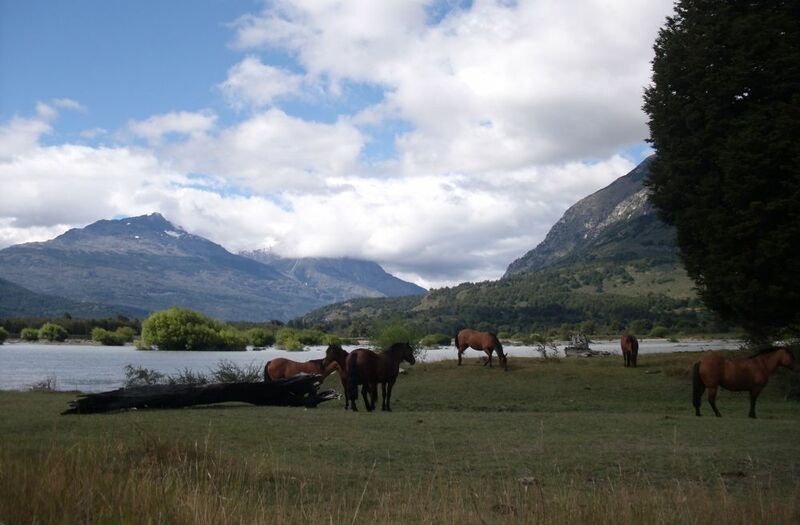 A ranch in rural Patagonia that would have been flooded had the hydroelectric project HidroAysen been built. 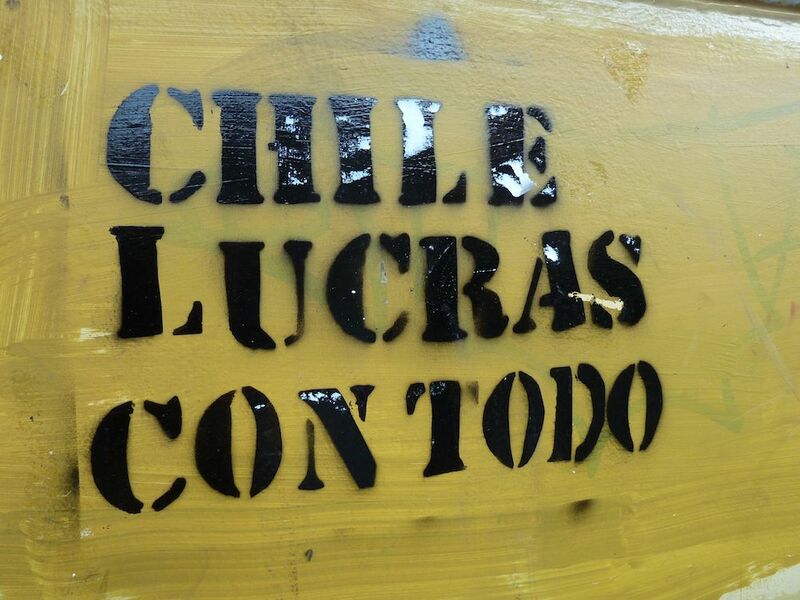 "Chile you profit from everything" grafitti painted on a university building in downtown Santiago in 2011. It’s a scenario that plays out in Western democracies all the time: A business proposes a construction project in an area that could be environmentally sensitive. The government then gathers facts from independent experts to help gauge the project’s potential impacts. But what if the experts weren’t independent? What if a country’s education system wasn’t set up to produce knowledge, but to generate income? Could the public trust that the government and its advisors were acting in the public interest? Those are the questions Javiera Barandiarán, a UC Santa Barbara assistant professor of global studies, explores in “Science and Environment in Chile: The Politics of Expert Advice in a Neoliberal Democracy” (MIT Press, 2018). Barandiarán, who was born in Chile and studies environmental politics in Latin America, noted that while the country was held up as a “success story of political transition and stability,” many Chileans were disillusioned. Why? In addition to inequality and a fragile prosperity built on debt, she learned, there was widespread anger over what many Chileans saw as the abuse of the environment to benefit business and political elites. To understand the dynamics at play in the environmental review of industrial projects in Chile, Barandiarán studied the interplay of state and science in four environmental conflicts: an epidemic at salmon farms across the Chilean Sea that led to the layoff of 25,000 workers; a polluting paper and pulp mill whose toxicity caused thousands of swans to disappear; a state-backed plan to move three small glaciers to “protect” them from a proposed mine; and a hydroelectric dam project planned in rural Patagonia. What she found was that neoliberalism had a profound effect on science, or “knowledge production,” in Chile. Since the Enlightenment, in liberal democratic thought science has been seen as the pursuit of truth and source of evidence that citizens can examine. Science in this tradition serves the public good and the democratic state. By contrast, a neoliberal state treats science as a commodity done to serve private interests. Barandiarán noted that scholars have studied the relationship between neoliberalism and knowledge production in the U.S. — the decline in federal funding for research, the rise in corporate funding for research and the changing incentive structure for universities, for example — but the ramifications beyond the academy is largely uncharted territory. Those conditions are difficult to sustain in Chile and other countries, Barandiarán said, where public funding for science has been sparse and institutions had to adapt to violent military coups as well as international arrangements that impose specific policies and norms. Although the circumstances surrounding Barandiarán’s case studies were heartbreaking and steeped in injustices, three of the four had positive environmental outcomes. The pulp and paper mill was found guilty of polluting a protected wetland, and ordered to take a number of mitigation and remediation steps; the gold mine was permanently closed by an environmental tribunal; and plans for the hydroelectric project have been canceled. Those victories reflect years of hard work by affected communities and environmental groups. One particularly effective strategy they used was to obstruct scientists’ access to beaches and other sites of data collection, turning science into the ‘weak link’ in this neoliberal, democratic environmental review process. The strategy works, she said, given public distrust of scientific advice that is produced for private interests through a market.